Make your ideas a reality and create your own bespoke candles and fragranced products to a formula completely tailored to your requirements. 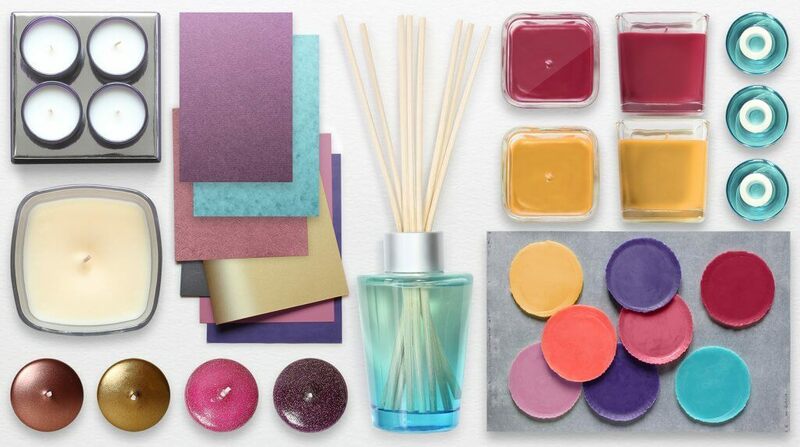 All our fragrances come from Grasse, the world’s perfume capital. Our perfumes can be enriched with natural essential oils. 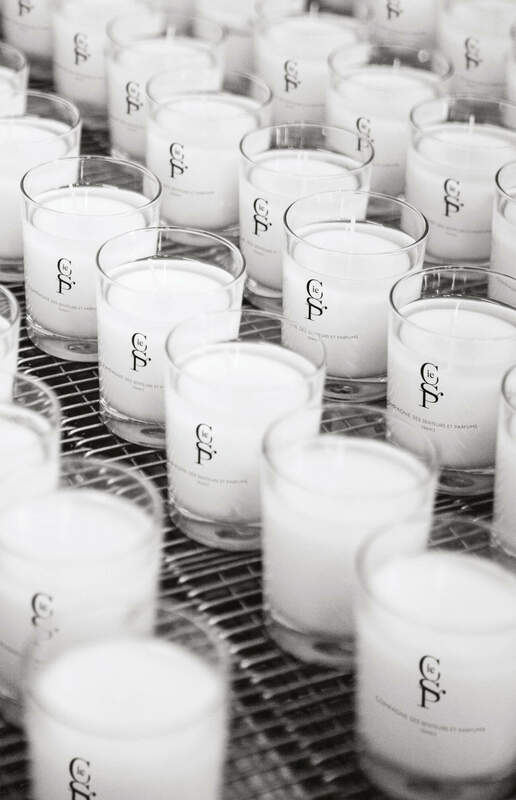 Because your brand is unique, you can choose the container, fragrance, wax and packaging of your bespoke candles. 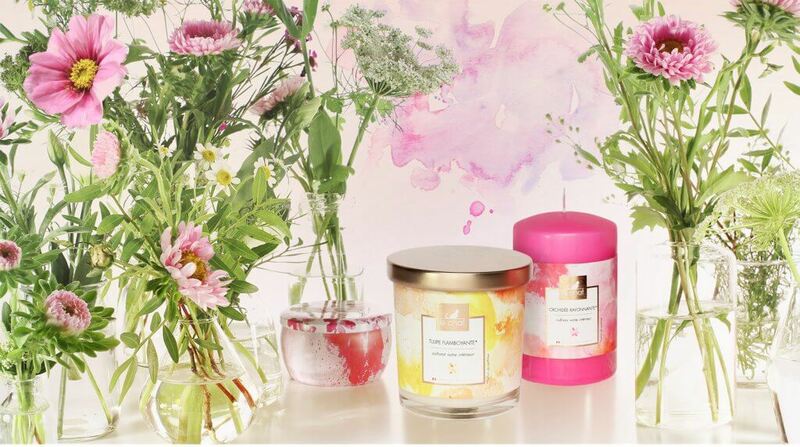 We will turn your ideas into fragrant products and make your candles match your aspirations and your brand. Reeds stand in a perfumed oil and diffuse a pleasant fragrance naturally over several weeks. Tell us what you are looking for… Together we can compose your bespoke scented bouquets. A massage represents a real break from life, a wonderfully relaxing moment. 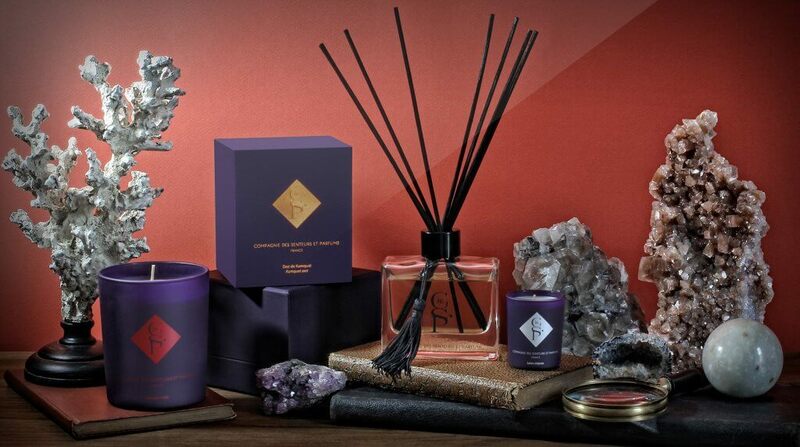 Perfect as a relaxing gift, our bespoke massage candles are made from 100% natural wax. They contain organic ingredients and are enriched with shea butter for the ultimate softness on the skin. Our industrial tool offers performance, flexibility, and reactivity. We can terefore propose either a subcontracting service, or a full service. It can be made of glass, ceramic or metal. It may have different glass finish, which can also be combined: lacquering, frosting, metallisation, silk-printing, hot stamping. 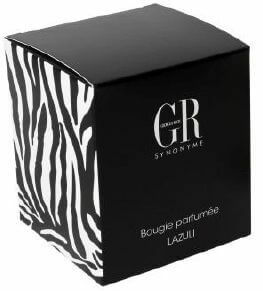 One of the main ingredient of the product, this is why we are working closely with the main fragance houses in Grasse. Compliant with CLP standards. We offer a wide scale of possible wax blands. You can select from either mineral, vegetal or mix blends, depending on your expectations or requirements. Then we will select the corresponding 100% cotton wick. We propose a large scale of possibilities: classical boxes, bell boxes, flower boxes, tubo boxes, cloth bags… Paper quality FSC, textured, embossed or gold hot stamped possible. 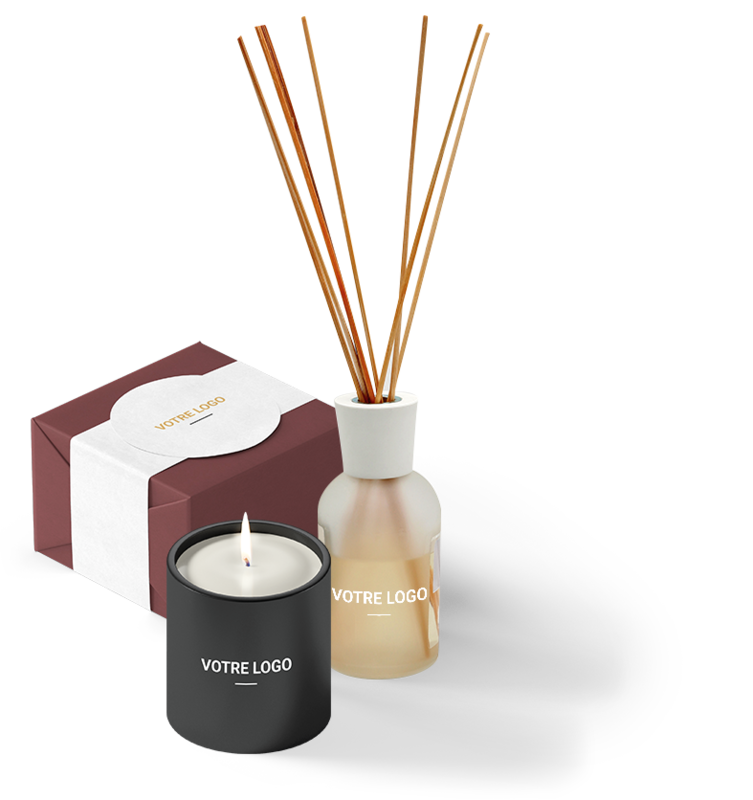 With vegetable reeds placed in a fraganced base, the reeds will diffuse a pleasant fragance into your home for several weeks. 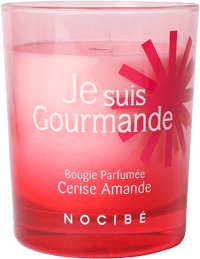 The fragance is released through a capillarity process, thus offering a continuous and cold diffusion with an optimal fragance intensity. It can be made of decorated or non-decorated glass or also in ceramic. You can choose from different styles of caps. One major ingredient of the product. This is why we are working closely with the main fragance houses in Grasse. Compliant with CLP standards. 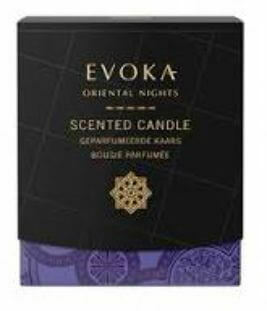 Cleangredients non-flammable base for an optimum safety providing a powerful olfactory finish. Greengredients vegetable base 95% biosourced and 100% biodegradable. Choose the color, the shape (flower, ball…), size and quantity. 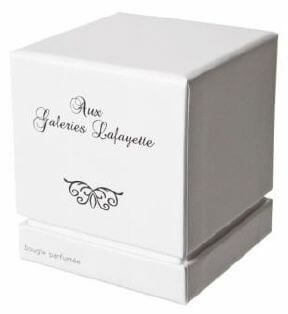 We propose a large scale of possibilities: classical boxes, bell boxes, flower boxes, tubo boxes, cloth bags… Paper quality FSC, textured, embossed or gold hot stamped can be selected. We love meeting people. We find it enriching, stimulating and inspiring. You have an idea, a passion, a dream ? We can turn your ideas into reality. 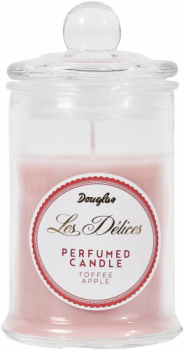 Created in 1902, Denis & fils is nowadays a European leader in candle making. Our values of growth, innovation and performance are based on the company’s original principles of know-how and quality. We place them at your disposal to carry out your projects and meet your requirements.